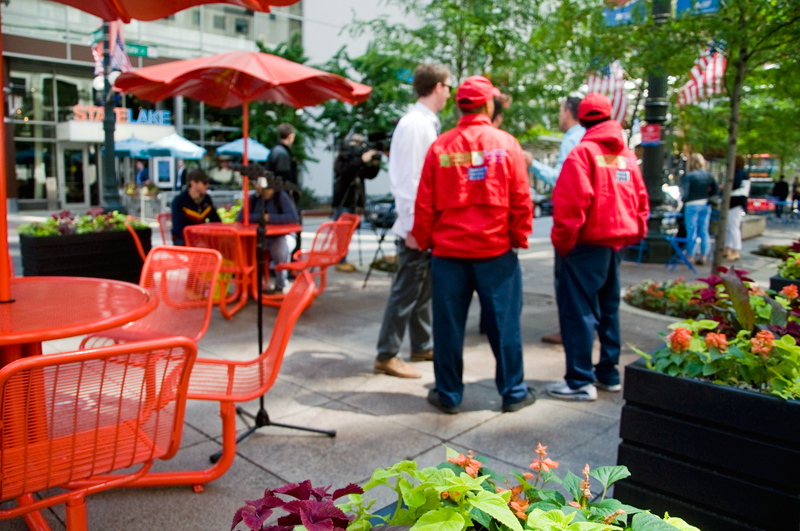 The median of a downtown stretch of State Street is now home to the latest of Chicago’s People Spots, a series of parklets sprinkled throughout the city as part of its “Make Way for People” program. 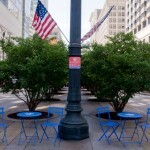 Dubbed “The Gateway,” the portion of State Street between Lake Street and Wacker Drive features shaded tables and chairs in what the city is calling its first “People Plaza.” Flowerboxes, banners, and bright red and blue colors lighten up the otherwise utilitarian median. While the spot’s central location is probably its greatest asset in attracting visitors, satisfying views of downtown’s architectural gems impart some elegance to the straightforward design. Chicago Department of Transportation Commissioner Gabe Klein, 42nd Ward Ald. Brendan Reilly, and Chicago Loop Alliance Executive Director Michael Edward were on hand Friday to dedicate the space, touting business opportunities for nearby restaurants and bars. 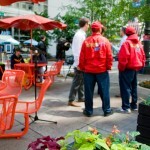 The goal of the program is to activate public space for placemaking’s sake, with economic development expected for nearby retail corridors. 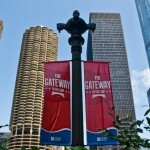 A cleaning team will service The Gateway from 7 a.m.-10 p.m. each day through the end of September, according to a press release from the Chicago Loop Alliance. 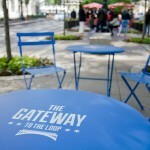 On Saturday, the city is hosting a bicycle tour of the People Spots in Andersonville and Bronzeville.